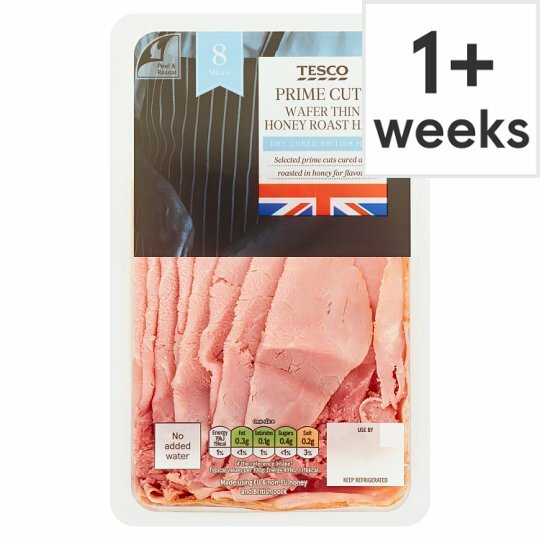 Wafer thin sliced, cooked and honey cured ham formed from cuts of pork leg meat and honey roasted. British Pork. Selected prime cuts cooked and roasted in honey for flavour. We work with a long established group of dedicated farms using hand butchered selected cuts of pork leg. The pork is then cured in honey to give a sweet flavour and succulent texture. Keep refrigerated., Once opened consume within 2 days and by 'use by' date shown.